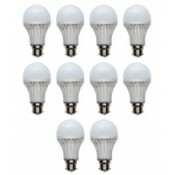 Features : Good Light distribution, SMD base Specification :Input Power : 9WInput Voltage : AC9.. Features & Specifications :Input Power &nbs.. FEATURES:Easy retrofit for conventional, energy savingUniform Distribution of LightEco-friendly, Red.. FEATURES:Easy retrofit for conventional, energy saving,Uniform Distribution of LightEco-friendly, Re..